The entire pro-life movement has made substantial gains in humanizing a fetus at every stage of pregnancy and helping to establish personal rights for the unborn. Enlarged pictures of aborted fetuses and other graphic illustrations are commonly displayed at protests and may help contribute to a changing, more humanized, conceptualization of a fetus and in turn help sway public approval against the permissibility of using elective abortion services to resolve unwanted pregnancies. 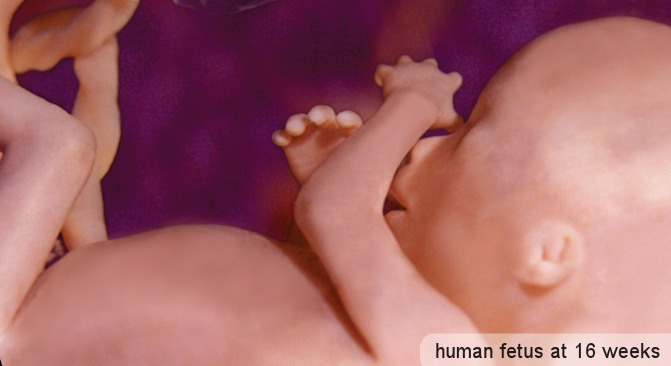 See some of the pictures she is referring to, as well as these scientifically accurate photos of life in the womb.